Alfa Romeo has attempted to put the Giulietta model on the collective radar of business users by launching the Business Edition. 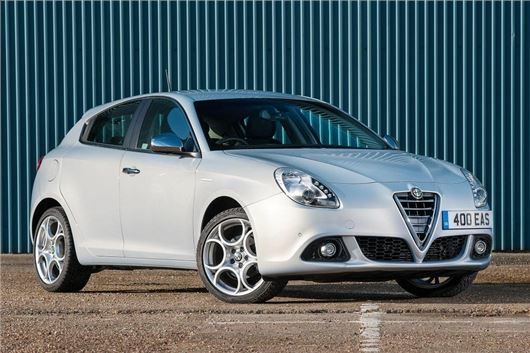 "Aimed specifically at the business sector," according to Alfa Romeo, the Giulietta Business Edition should generate hand-raisers all over the blue sky thanks to a high level of specification and low CO2 emissions. Standard equipment includes touch screen satellite navigation, DAB radio, 16-inch alloy wheels, automatic lights and wipers, parking sensors, electric lumbar support and dual-zone climate control. The engine range is four-fold: a 1.6-litre JTDM diesel with 105PS, puffing out just 104g/km of CO2 and meaning a 16 per cent BIK rate; two 2.0-liitre JTDM diesels, either 150PS or 175PS with 110g/km and 116g/km respectively; and the solitary petrol engine a 1.4-litre MultiAir unit with 170PS, boasting a relatively parsimonious 119g/km and meaning 18 per cent BIK. Claimed fuel economy ranges from 70.6mpg at its diesel best, to 55.5mpg with the single petrol motor. The petrol and 175PS diesel models both come with a TCT dual-clutch automatic as standard, while the other two get a six-speed manual transmission. Taking a helicopter view, compared to the Distinctive model on which it’s based the Business Edition costs less but adds around £2000 worth of equipment. Aside from the additional equipment above, the car gets rear parking sensors, Bluetooth phone connectivity, the Alfa D.N.A. adaptive chassis system, cruise control, LED daytime running lights and taillights, and a leather steering wheel. A space-saver spare wheel is standard, and buyers can bump their alloy wheels up to 17-inch items for just £100. Prices start as £18,990 OTR for the 1.6 JTD-M Business Edition, rising to £22,450 for the 175PS 2.0-JTDM. It’s on sale now.